Centered in the heart of Destin, FL is the hidden jewel of Indian Lake condominiums. It is located off the main roads and neighbors some of Destin's most desirable subdivisions. A condo at Indian Lake is an excellent option for a first-time home buyer, someone purchasing a second home, or even as an investment. With its central location, numerous amenities, and low-priced condos, it is unbeatable. 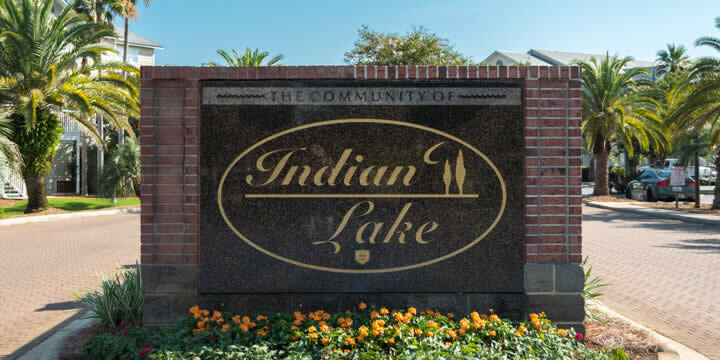 Indian Lake is situated directly across from Morgan's Sports Center, Destin's premier recreational complex featuring sporting fields, jogging tracks, sand volleyball courts, and a playground. Across from Indian Lake is the Destin Dog Park, a perfect place to take your four-legged friend for some playtime, just steps from your pet-friendly condo. If these outdoor activities are not enough, why not stop by the beach which is conveniently only a short bike ride away. With a condo located in such a prime location, the possibilities are endless. 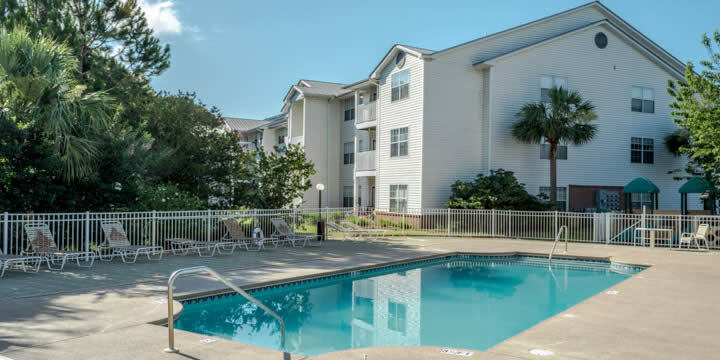 If you are yearning to move closer to the beach but have a budget to maintain, a condo at Indian Lake may be an ideal fit for you. There are three condos have floorplans; 1) a one-bedroom, one bathroom, 2) a two-bedroom two bath, and 3) a three-bedroom two bathroom floorplan. These units have living space ranging from 743 to 1,250 square-feet. These practical and well laid out residences utilize every inch of space and are an appropriate size for a small family or as a vacation property; Many even have their private balcony, excellent for morning coffees or sunset cocktails. Indian Lake condos sell at prices from $105,000 to $160,000 depending on floorplan and upgrades. There is an HOA with quarterly fees that vary depending on the unit, providing ease of ownership to the homeowner. The HOA fees pay for the grounds keeping, trash disposal, extended cable TV, insurance, and use of recreational facilities. Because of its prime location and affordability, a condo at Indian Lake can be a great investment for a long-term rental. These condos can be rented out long-term at around $1,200 to $1,350 a month, providing the homeowner with easy monthly income. Whether you are looking for your forever home or searching to make your money work for you, a condo at Indian Lake is a smart buy. One of the benefits of owning a condo is the surplus of amenities and low overall maintenance they provide. Because of this, purchasing a condo at Indian Lake enables you to enjoy the fruits of your labor and let someone else do the hard work. You can enjoy sunbathing by the private pool, staying active at the onsite gym, or relaxing in the clubhouse. There is also a picnic area with BBQs and a playground-great for outside family time with the kids. The on-site management is very convenient also, as they assist you with any inquiries you may have. If you are ready to take a step towards owning a condo in Destin, Indian Lake is sure to amaze with its ambiance, amenities, and prices. Call us today at Emerald Coast Realty for a knowledgeable realtor to arrange a tour and assist you in any way.